Anna Hazare, hailed as “21st century Gandhi”, “Gandhi of modern era” and Martin Luther King Jr, known as “American Gandhi”, Rehavam Ze'evi, Israeli Poilitian with nick name Gandhi, almost all are aware about these names. Have anyone heard of a “Jewish Gandhi” from India? Photo courtesy to Gamliel Selam. Abraham Barak Salem (1882–1967) was an Indian nationalist and Zionist, one of the most prominent leader from Cochin Jewish community of the 20th century. Born in 1882 to a meshuchrarim ( Hebrew word used to denote manumitted slave) family in Cochin. 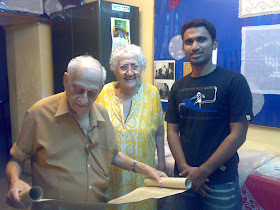 He was “Salem Kocha” to Cochin Jews and Cochinites, “A.B.Salem” to others. Similar to the fourfold caste system of Kerala, the Jews of Kerala also had a system, according to my observation it would have evolved of its own and later deviated to a different level where no one can be blamed. The inferiority complex of Malabari Jews being dark in their complexion and the superiority complex of the Paradesi Jews or so called foreign Jews being a foreigner and fair by their complexion would have been the main reason, it can be explained as simple as that. But as the days went it had expanded to a phase of racism within the Jewish community of Cochin. 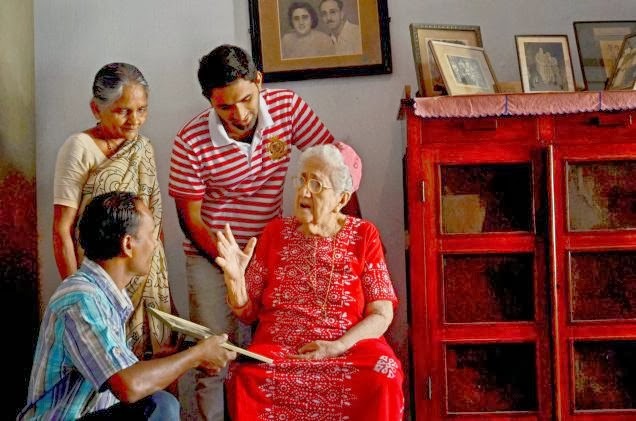 And the situation was like, A few meshuchrarim belonging to the Paradesi Jewish community, were discriminated against by other Paradesi Jews, being relegated to a subordinate position in the Paradesi Synagogue in Cochin. The Paradesi Jews also considered themselves racially distinct from the more numerous Malabari Jews who had preceded them on the Malabar Coast. 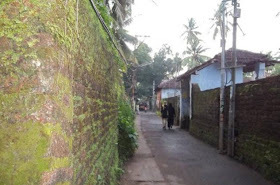 The Malabari Jews had more than seven places of worship; the Paradesi Jews had only one, the Paradesi Synagogue, which for centuries had been barred to those whom they considered impure. 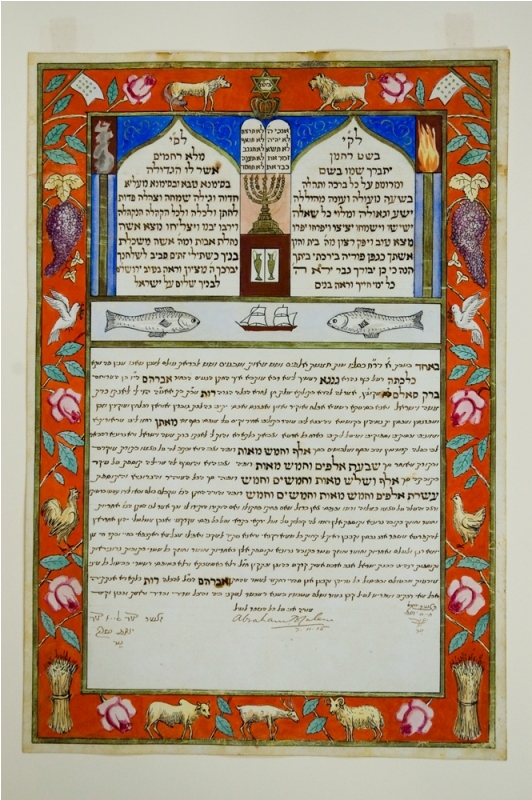 The stratification in the Jewish community prevented the meshuchrarim from marrying other Paradesi Jews and forced them to sit in the back of the synagogue with the Malabari Jews in a manner resembling the discrimination against converts from lower in India. To be clear all the Paradesi Jews sat inside the synagogue and other were only let to sit in the Azara or The Ante chamber. Salem fought against this by boycotting the synagogue for a time and utilised satyagraha as a means of combating discrimination within the community. This led some people to later refer to him as the "Jewish Gandhi". 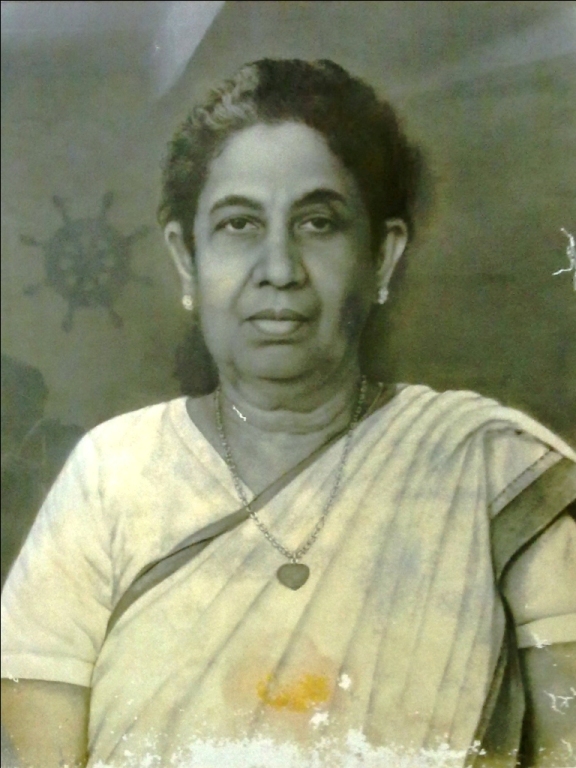 Salem served in the Legislative Council in the princely state of Cochin from 1925 to 1931 and again from 1939 to 1945. A supporter of the nascent trade union movement in Kerala and active Indian nationalist, at the end of 1929 he attended the Lahore session of the Indian National Congress which passed a resolution calling for complete independence from the Raj. However, especially after visiting Palestine in 1933, Salem came to focus more on the Zionist cause. After Indian independence, he worked to promote aliyah to Israel among the Cochin Jews, visiting Israel in 1953 to negotiated with Israel on behalf of Malabari Jews who wanted to migrate. 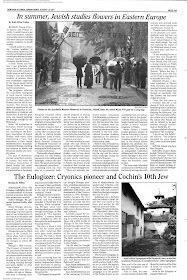 This also helped to diminish the divisions among the Cochin Jews. 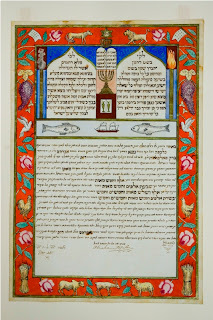 Although most of Cochin's ancient Jewish community eventually left for Israel (and, in the case of many Paradesi Jews, for North America and England), Selam remained in Cochin. He use to talk regarding almost all the subjects to the public and in Ernakulam near the Durbar Hall Ground and the Gandhi square, there was a place named “Salem Mount” a small heap were he used to address the public. But now the exact location is not known but according to Gamliel Salem his youngest son, it was inside the Irwin Park, Ernakulam, (Opposite to Ernakulathappan temple, near Old Husoor Jetty, now this name is unknown to most of the people). The famous Cochin electrical company (First private electric company) and Ferry & Co (Ferry service), owned by Koder Family was his idea and he made all the legal paper works. Just opposite to the Paradesi synagogue, third house was later owned by Salem. There near the outer wall existed “Salem’s looking glass,” his own concept were he use to put the english news paper cuttings of various topics. And interested peoples can have a talk or discussion with him. Born to a poor family, he was similar to Abraham Lincoln, he studied sitting under the street light (it was a black granite receptacle stuck into all Jewish house in Cochin, lighted in the evening. Still those can be found in Jew Town, Cochin). 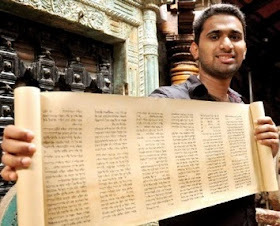 He has done his Pre-degree in Maharaja’s College, Ernakulam and then moved to Chennai to earn his Bachelors degree in Arts, he became the first college graduate among the meshuchrarim. Reema Salem, (wife of Gamliel Salem) said, He use say that he traveled in small boat to Ernakulam, before the Wellington Island was made. From there he uses to get a bullock cart and head to Shornur, and from there to Madras. The journey to this modern context will be the most hectic. Gamliel Salem, My father attended his college in Presidency college of Madras and took BABL, with C.Rajagopalachari and other 4 members who later became famous public figures in Indian politics. 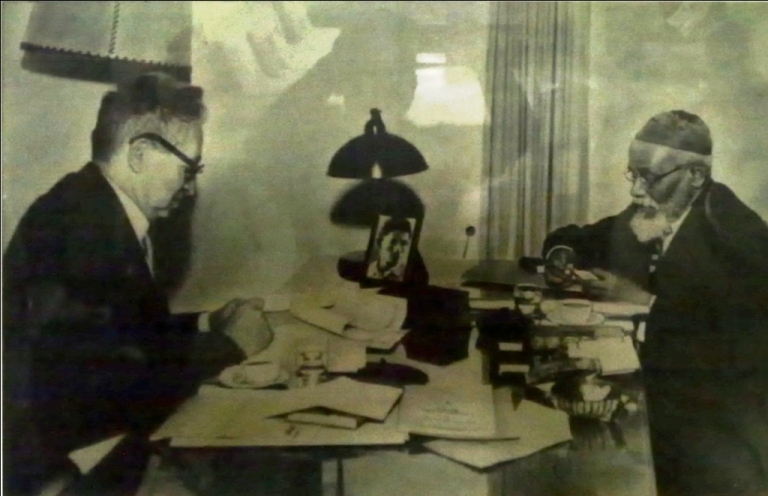 But he had got many invitations from the Government of India to become the Advisory committee and personal messenger of Mahathma Gandhi and Jawaharlal Nehru came to Cochin to invite him. But he hided himself inside the Paradesi synagogue and stayed back in Jew Town and attended the religious services. · Member of legislative council, Cochin. · Executive Committee member of the Indian states peoples. Conference for establishment of responsible government. 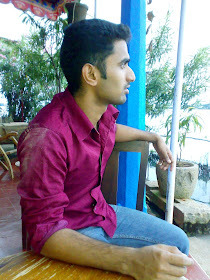 · The first labour leader in Cochin. · Founder of Indo-Palestine Co.
· Visited Palestine & Israel as the representative of the Cochin Jewish Community to fight for Aliya. 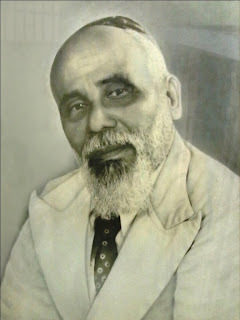 · Vice-president of Malabar Jews association (1932-47). · Secretary of Cochin Zionist Association. He married Ms.Ruth, (She was a Doctor) it happened to be in Culcutta, even though she was also from Cochin. Photo courtesy to Magnes Museum. Malkah, Mino, Balpher, Raymond and Gamliel were their children. Salem remained in Cochin until his death in 1967. 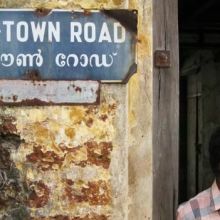 He was buried in the Paradesi Jewish cemetery in Jew Town in Cochin, and subsequently the road adjacent was named after him as "A.B.Salem road". As a tribute to him there is a small resting hub for laborers in the next street owned by Center of Indian Trade Union. Thank you for highlighting the life of selfless worker who used Satyagraha for the public good. 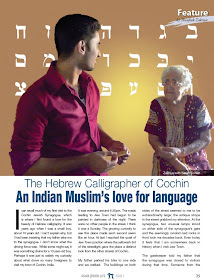 It will be interesting to know more about slavery among Cochin Jews. Thank you for your comment,He was a great learned man, I know his youngest son personally. That is how I could do an article about him. I would be definitely do a research on that and will write about that. There is an excellent review of A B Salem's life by James Chiriyankandath in the Journal of Global History (2008). I have a copy if you are interested. Also "Ruby of Cochin" by Barbara Johnson has quite a few details about the antecedents of A B Salem, including a family tree. On 17 Nov 2011 his great grandson (male line) will be getting married in Israel. I am his grandson through Malka. Yay!I am proud to be his grand daughter.. I still remember my Dadipapa, a grand old man with a long white beard...the kindest person I ever knew. I have heard all the stories from my Mom- Venetia (Mino)..
A.B. Salem is a fascinating personality who I've been researching, on and off, for almost a quarter of century since meeting his son Gamaliel and the late S.S. Koder, associated with Salem in some of his activities, in 1988. My article on him (Nationalism, religion and community: A. B. Salem, the politics of identity and the disappearance of Cochin Jewry) is in the Journal of Global History, Vol. 3, no. 1 (March 2008), accessible via the journal's website (http://journals.cambridge.org/action/displayAbstract?fromPage=online&aid=1859700). I've also put the main details of his life and career in the Wikipedia entry on Salem - http://en.wikipedia.org/wiki/Abraham_Barak_Salem. My book on the subject is soon to be published by Zed Press in the UK. Thank you Thoufeek for adding some of this to your interesting blog (and for posting the photos). Thanks for the intresting post. I was asked by Israeli publishing house to do an acdemic check for the Hebrew edition of Edna Fernandes's book. The Last Jews of Gandhi. She writes about Salem. I look to read your book very much. My research about Gandhi and Kallenbach was just published by Orient BlackSwan and the seciund part of the book deals wuth the Zionist effort in India during the Thirties. Thanks for the interesting post. I was asked to do the academic check for the Hebrew edition for Edna Fernandes's book the last Jews of India. She writes about Salem. Dear James, I am looking very much also to read your new book since it is very much in the field of my current research. The second part of the book deals with the Zionist effort in India during the thirties. I would like very much to share and discuss this subject with you. Thanks and I hope it is o/k that I write on this blog. this is a very interesting article. I am doing personnal researchs about the links in between North African jews and Asian jews. Some of the Morocco and Algeria jews (including my paternal ancestors) have family names like Salem, Sellam, Sallam etc Do you believe there is a link with Cochin jews? Had A.B Salem a paternal lineage coming from Spain or Morocco?